Lalu Prasad Yadav, former chief minister of Bihar, once infamously made a cheek-y remark about Indian film actress Hema Malini. Yadav, during election campaign, had promised he would make “the roads of Patna as smooth as Hema Malini's cheeks”. That remark might then have been brushed aside as ‘light humour’. Reason for that? The internet age had still not dawned then and social media, perhaps, was still a stuff of science fiction. There were no ‘news-room-crusaders-anchors’ also, who would ‘take to task’ such misogyny spewing netas. People had fewer means to communicate their views; hence a strong positioning like ‘it was in a lighter vein’ would have given rest to all arguments and debates. It stayed merely in the anecdotal narratives that shall pass from generations to generations. 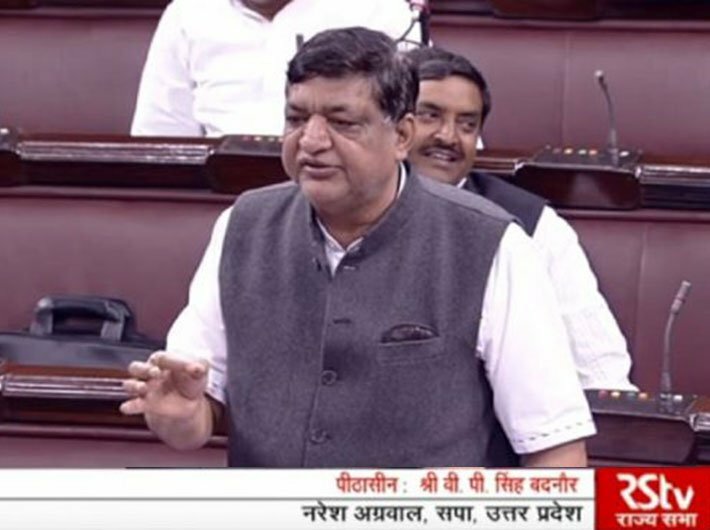 So, when the newly inducted member of Bharatiya Janata Party (BJP) Naresh Agrawal made a remark that is reflective of not just his thinking but also his politics, many strong voices emerged to admonish Agrawal. Shri Naresh Agarwal has joined Bhartiya Janata Party. He is welcome. However, his comments regarding Jaya Bachhan ji are improper and unacceptable. Union minister Smriti Irani also condemned Agarwal's statement in a tweet. The kind of power that social media has given to people is immense to cower down the arrogance of those who claims exclusive rights over respect and honour. This power might be new but the arrogance that it is battling is an old one. Typing a few right keywords in Google search will fetch hundreds of stories where the ‘political wisdom’ of the Indian politicians lays naked, evoking extreme disgust and sometimes sad humour. Let us list a few. In 2001 Shahi Imam of Jama Masjid called critically acclaimed actor Shabana Azmi “nachne gane wali tawaif” (nautch girls who sings and dance). In a damage control exercise BJP national spokesperson Sambit Patra immediately distanced his party from Agrawal's remarks against, saying that the BJP respects people from all fields and welcomes them in politics. While distancing itself from controversies will not reap dividends, it is an obvious and logical political move. It is, in long run, the most ineffective tool of demotivating and dissuading such comments. The fact remains that in all the above cases nothing much happened to those who in the most casual manner tried to disgrace the achievements of the women – who just through their hard work, grit and dedication excelled in their fields largely dominated by men. Dayashankar Singh was suspended but the suspension was revoked in no time, his wife was given an assembly ticket and is a minister in the Uttar Pradesh government. A defamation case against Nirupam filed by Irani is in court for five years. He still serves as Congress member. Agrawal have been welcomed with open arms in the ruling party. And Lalu Prasad still remains the affable politico-comedian whose misogyny is ignored because of his intelligently-crafted rural moorings.